Chapter 2 provides an overview of basic microeconomics as it applies to natural resource and environmental economics. 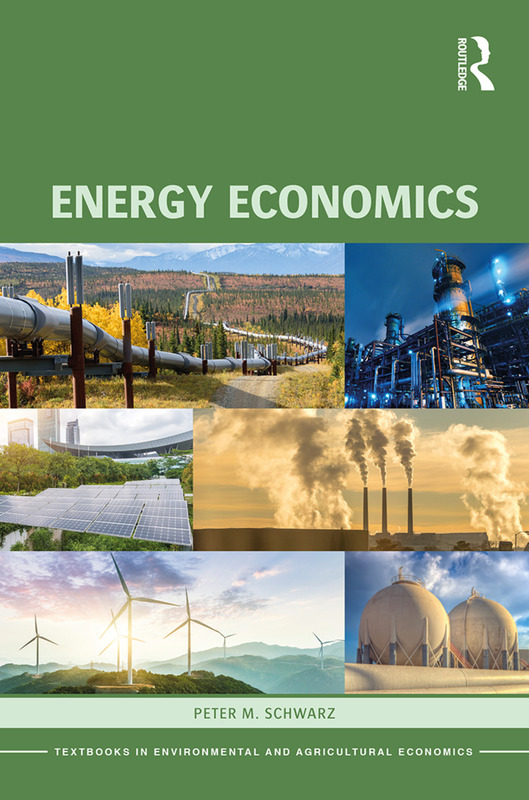 The chapter includes much of the basic economics terminology and describes the framework from within which the various topics in the text will be presented. As such, the chapter covers a great deal of material. Students without much background in economics may find this material abstract and difficult. You may find it beneficial to spend extra time on this chapter, especially when teaching the non-major. Ensuring that the students have a good grasp of the concepts and tools early in the semester will make teaching the other chapters easier and will facilitate the learning process. Whoa, I've spent 5/15 weeks on chapter 2. Paying people to live in rural areas thus has a negative side-effect of effectively subsidizing energy consumption. (My colleague Kyle Mangum shows in this paper that housing policy has basically the same effect.) This is in addition to any other negative side-effects it might have, like reducing overall productivity by reallocating people from more-productive urban areas to less-productive rural areas. These ought to be traded off against whatever benefits the policy may create. The US shale boom and efforts by other countries to exploit their shale resources could reshape energy and environmental landscapes across the world. But how might those landscapes change? Will countries with significant physical reserves try to exploit them? Will they protect or harm local communities and the global climate? Will the benefits be shared or retained by powerful interests? And how will these decisions be made? The Shale Dilemma brings together experts working at the forefront of shale gas issues on four continents to explain how countries reach their decisions on shale development. Using a common analytical framework, the authors identify both local factors and transnational patterns in the decision-making process. Eight case studies reveal the trade-offs each country makes as it decides whether to pursue, delay, or block development. Those outcomes in turn reflect the nature of a country’s political process and the power of interest groups on both sides of the issue. The contributors also ask whether the economic arguments made by the shale industry and its government supporters have overshadowed the concerns of local communities for information on the effects of shale operations, and for tax policies and regulations to ensure broad-based economic development and environmental protection. President Donald Trump suggested Wednesday that a 25 cent increase in gas and diesel taxes would be needed to help pay for the administration's new infrastructure plan, according to Democratic Sen. Tom Carper. In a bipartisan meeting with lawmakers at the White House, Trump noted that the federal gas tax hasn't been raised since 1993, said Carper, the top Democrat on the Environment and Public Works Committee. "He said that he knew it was a difficult thing for legislators to support and said that he would support the leadership to do that and provide the political cover to do that," Delaware's Carper told CNN in an interview. "And he came back to that theme again and again and again." Transportation Secretary Elaine Chao did not rule out a gas tax Tuesday when she spoke to reporters at the White House, but she described it as "not ideal." "The President has not declared anything out of bounds, so everything is on the table. The gas tax, like many of the other pay-fors that are being discussed, is not ideal," she said. "There are pros and cons. The gas tax has adverse impact, a very regressive impact, on the most vulnerable within our society; those who depend on jobs, who are hourly workers. So these are tough decisions, which is why, once again, we need to start the dialogue with the Congress, and so that we can address these issues on this very important point." Carper said Trump also offered "full-throated support for an increase in user fees" for roads, highways, and bridges. Sen. Jim Inhofe, R-Oklahoma, who was also at the White House meeting Wednesday, took issue with the way Carper characterized Trump's support for a gas tax increase. "He was not advocating that. He was looking at all the options," Inhofe said. "All he said was we need to do something and that is still on the table." Asked if Trump offered political cover to lawmakers who supported a tax hike, Inhofe said he didn't recall "that word being used." "I think that's an exaggeration," he said. "A combination of exaggeration and wishful thinking." This isn't the first time the president has suggested a higher gas tax to pay for infrastructure (which actually makes a lot of sense) and then was corrected by someone who isn't the president. We've been promoting an increase in the gas tax for a long time. Cleaning up marine debris is expensive. Leaving it there is expensive too. A random utility maximization (RUM) travel cost model is used to characterize trips to beaches by residents of Orange County, CA. The authors collected on-site measurements of marine debris at 31 beaches in the Orange County area. These data, combined with data on beach trips obtained from a general population survey, were used to estimate a RUM model capable of isolating the impact of marine debris on beach choice. 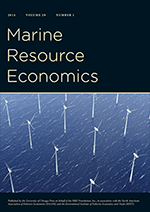 The model is used to estimate the economic benefits associated with several hypothetical reductions in marine debris. The estimated per capita seasonal benefit associated with a 25% reduction in marine debris at all beaches in the choice set is $12.91 (aggregate benefits of $29.5 million in 2013 dollars), while the estimated per capita seasonal benefit associated with a hypothetical improvement potentially associated with the full implementation of the Los Angeles River Trash total maximum daily load (TMDL) is $20.36 (aggregate benefits of $46.5 million). WHERE'S THE ENERGY? While water, roads and airports all get special attention in the White House's new infrastructure plan, the electric grid was largely ignored in the 55-page document the White House rolled out Monday - despite the system's age and the challenges to building it. The plan says nothing about modernizing ailing electric transmission systems to account for factors such as the growth of natural gas, renewable power and electric vehicles, issues that have long been a focus of grid planners and a priority of the previous administration. "This plan ignores American energy and transportation needs of today - as well as tomorrow. It does not modernize our grid so we can reach more distributed energy. It does not plan for advanced vehicles to be on our roads," said Grant Carlisle advocacy director of E2, an affiliate of the Natural Resources Defense Council. "It is unfortunately just not a forward-looking document." Where the plan does touch on electric issues, it revives a proposal to sell off transmission facilities owned by the Energy Department's power marketing administrations and the Tennessee Valley Authority. OMB thinks those sales would raise $7.4 billion for federal coffers over five years and encourage a more efficient transmission system. But when the White House floated the idea last year, it faced bipartisan opposition from senators worried it would increase power prices in a large swath of the West. The White House plan also calls for Congress to change the Federal Power Act to allow other federal agencies that participate in a FERC NEPA proceeding as a "cooperating agency" in an effort to streamline applications for interstate natural gas pipelines. Privatizing water infrastructure: The plan would make a number of tweaks aimed at easing private investment and ownership of drinking water and wastewater facilities - a move that public health advocates argue could lead to unaffordable rates. Municipal water utilities are so far skeptical of the plan, arguing that the proposal is overly ambitious in how much private funding can be drawn to the sector and pointing out that states and municipalities already bear the lion's share of the cost for water projects. But they are cheering one idea in it: lengthening pollution discharge permits from five years to 15 and allowing automatic renewal "if the water quality needs do not require more stringent permit limits." Gaga for WIFIA: The proposal would expand WIFIA, the innovative financing program authorized in 2014 that Congress loves since it can leverage a small appropriation for orders of magnitude more in credit assistance. Despite the fact that the program has yet to make its first loan, the Trump proposal would expand it to privately owned infrastructure as well as Superfund and brownfields programs. Park upgrades paid for by energy leasing: The infrastructure plan would give Interior a mechanism to repair and maintain some of its holdings. Even though the White House would slash Interior's overall budget by more than 16 percent, it would establish a Public Lands Infrastructure Fund paid for with money from new land leasing and royalties on energy production. Interior said the fund will rake in $805 million to put toward National Park Service's estimated backlog of $11.6 billion backlog of repair and maintenance projects. Another $891 million would go toward the Bureau of Reclamation's water systems and new capital construction plans. Environmental reviews: The proposal asks Congress to get the permitting process down to two years, through quicker NEPA reviews. It wants to limit projects getting held up in court by reducing the statute of limitations to sue from six years down to 150 days. And it wants to stop EPA from vetoing wetlands permits. But don't hold your breath for these changes anytime soon: Most would require congressional approval, and Senate Democrats would likely be able to block anything as ambitious as the administration's proposal. SPOTTED: Trump held a meeting on infrastructure with state and local officials on Monday. Also in the room? EPA Administrator Scott Pruitt and Interior Secretary Ryan Zinke. I don't subscribe to Politico Pro so haven't dug any deeper.